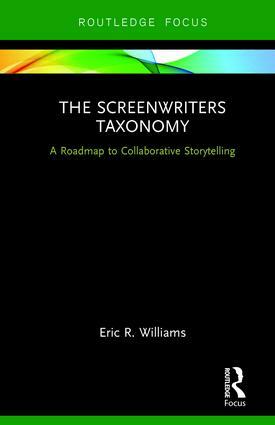 In The Screenwriters Taxonomy, award-winning screenwriter and educator Eric R. Williams offers a new collaborative approach for creative storytellers to recognize, discuss and reinvent storytelling paradigms. Williams presents seven different aspects of storytelling that can be applied to any fictional narrative film—from super genre, macrogenre and microgenre to voice and point of view—allowing writers to analyze existing films and innovate on these structures in their own stories. Moving beyond film theory, Williams describes how this roadmap for creative decision making can relate to classics like Sunset Boulevard, The Wizard of Oz and Butch Cassidy and the Sundance Kid as well as such diverse modern favorites like 12 Years a Slave, Anomalisa and Shrek. Eric R. Williams has written professionally for American Movie Classics, Universal Studios, Grateful Films and Fox Interactive. His screenplays have been workshopped at the Film IndependentProducers Lab in Los Angeles, and have won three prestigious awards: Best New Work from the Writers Guild of America, Award for Individual Excellence in Screenwriting from the Ohio Arts Council, and an Emmy Award for Interactive Media. Eric is also an award-winning educator and the inaugural director of the MFA in Communication Media Arts program at Ohio University, where he teaches screenwriting and virtual reality production. Eric earned his undergraduate degree from Northwestern University in Chicago, and his MFA at Columbia University in New York City. He is also the author of another book by Routledge, Screen Adaptation: Beyond the Basics (2017).